We work collaboratively with a number of organisations with tried and tested skills enhancing and bespoke projects to enable your people to be well-developed and happier. We aren't going to reveal all within this section. If you are serious about skills enhancing in your organisation or as an individual then contact us. We list two providers as great examples of the carefully selected partners that we use collaboratively in the UK. We have partners also in the US, Canada and the Atlantic Region. 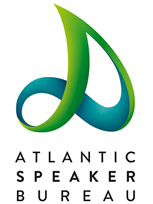 We work with strategically with Atlantic Speaker Bureau on Bespoke Projects and Skills Enhancing through innovation and excellence in customer engagement. 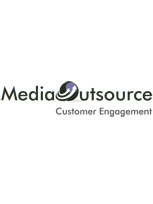 We focus on Management, Engagement, Development, Insight and Awards creation and production and National conference creation and delivery. Ronan is a visionary thinker on how organisations can develop at the psychological and cultural level to move from overwhelm to adaptation. Ronan is the Founder of Alter Ego, a global network of influential business and political leaders who are pioneering transformative change in organisations and society. In his powerfully honest talks, he shares memorable leadership stories of his successes and failures in bringing transformational change to major organisations. This includes becoming a lead futurist to the British Foreign Office at the age of 25 and one of the youngest executives in the City of London at the age of 27.